This week's show included songs by Mott The Hoople, T. Rex and Def Leppard. 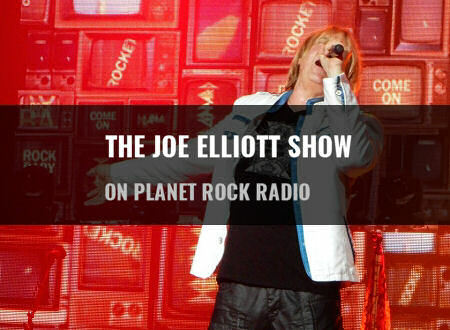 "Evening all and welcome once again to the Joe Elliott show right here on the wonderful Planet Rock. It's great to be back home having just spent almost a week in New York and a couple of days in London doing loads of promo for the US tour, for the British and Irish tour. For the streaming and download release. It's been a wonderful but exhausting week. It's good to be able to put my feet up, only after I have finished this show which is gonna start off with this wonderful bit of drama." "It was nice this week to be able to step into the Planet Rock offices for a couple of hours during my two days in London doing the promo. Great folks. Nice coffee thank you very much. That is Mott The Hoople from 1974. The album is the Hoople. The song The Golden Age Of Rock 'n' Roll. 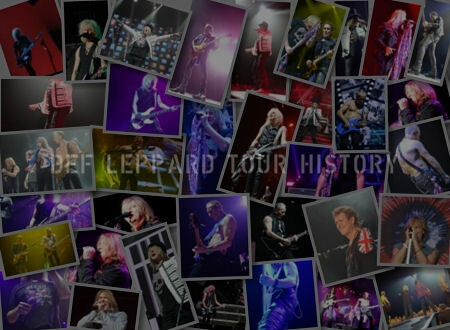 Which has got a spoken intro done by their A and R man which when Def Leppard covered that song in 2006, the spoken intro was done by Ian Hunter himself." "And talking of great intros, check this out." "And before that T. Rex from the 1972 album Slider with the wonderful Baby Strange." "Ahh Lift Off with Ayshea. Does anybody Lift Off with Ayshea?. It was the alternative to Top Of The Pops. It was on a little earlier. It was on the other channel. and all 141 episodes apparently have been wiped. I just read an article about it. Very, very sad. So if there's anybody out there, old TV people that have got an attic full of tapes of Lift Off with Ayshea. 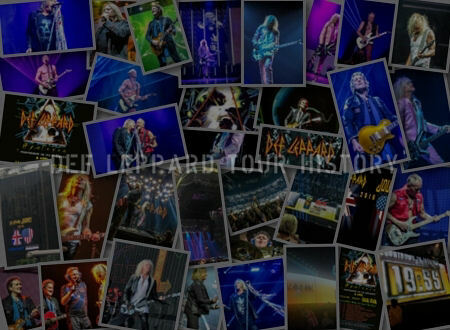 We really need them 'cause there's some fantastic material that has gone to the great magnet in the sky. Including the first ever TV performance of Starman by David Bowie. And if you thought that song you just heard sounded somewhat like Wizzard, or Roy Wood. Well, it was because he was dating her back then and he wrote that song and gave it to her. The song is Farewell." "So from Marc Bolan to his old mucka. This is the late great David Bowie." "And before that David Bowie from his last album Blackstar with a wonderful bit of work called Dollar Days." "Recorded during the YEAH! 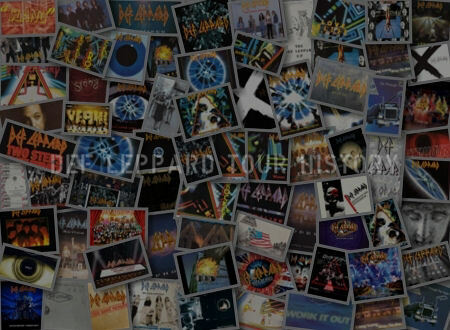 sessions back in 2005 and 2006 and acknowledging the weather here and in New York that is Def Leppard with the old Lindisfarne classic Winter Song." 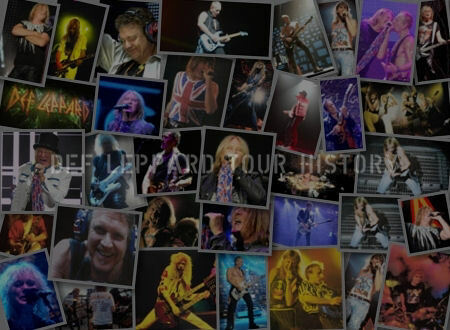 "You are listening to the Joe Elliott show on Planet Rock. It's time for a little break and when we come back, we're going back to school with Supertramp." "And before that we heard from 1974 Supertramp from the album Crime Of The Century. Produced by one Mr. Ken Scott, who amongst many bands including The Beatles, produced such iconic albums for David Bowie as Hunky Dory, Ziggy Stardust, Aladdin Sane and Pin Ups. The song we heard, School." "Title track from their 1977 album Going For The One that is the mighty Yes." "Now this fantastic little power trio have a new album out, but I'm gonna dig a little deeper into their vast and extensive back catalogue. This is the Von Hertzen Brothers." "And before that we heard the Von Hertzen Brothers. The title track from their album Experience." "What a racket, but what a beautiful racket. That is The Pink Fairies from their album Kings Of Oblivion with a song called City Kids. Once actually covered by Motorhead." "Enough noise to wake the dead. And talking of." "And before that Alice Cooper from the very underrated Along Came A Spider album which is actually ten years old this year. I can't believe it's that old. The song we heard, Wake The Dead." "Well if you don't know already, you haven't read already. I'm sure you will pretty soon. That it's fifty years this year since Led Zeppelin formed. There's gonna be a lot to celebrate this year. But let's hope it doesn't overshadow too much the fact that also celebrating fifty years as a band are Sweet. They've got a great box set of their early albums out right now and from the album Desolation Boulevard we just heard Six Teens." "And that my friends is about it for this week. It's been a real pleasure as always. I shall be back with you next week god willing at the same time." "Until then gonna leave you with this. This is the Heavy Metal Kids Mark II. In other words fronter by original keyboard player Danny Peyronel, once a member of UFO. This from their 2003 album Hit The Right Button is Message. Until next week see ya!."